I have no good explanation for this one. I started out thinking about videogame art and some of the monsters. 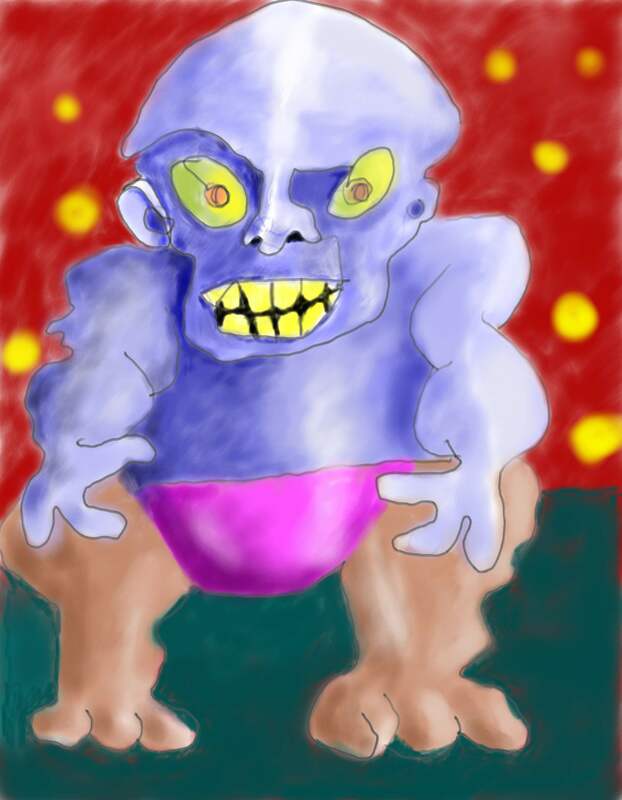 So, I did it in blue and then did below the waist in brown for some reason which gave the impression that my blue monster was not wearing pants. Well, I didn’t want to get an R rating so I put pink pants on this creature in the hope that I might generate some concern about gender identity which is always fun as some people get all hot and bothered about that. In any case, I had some fun and maybe you will too. Or, you might be horrendously offended which may be OK too. The program is Corel’s Painter which I am learning. The program per se isn’t hard but drawing with it takes a bit of time. If you consider it, better plan on getting a Wacom pad. Otherwise, nothing good happens. This entry was posted in Uncategorized and tagged avatar, beast, digital, drawing, expressionism, fantasy, figurative, figure drawing, monster, video game, wings. Bookmark the permalink.